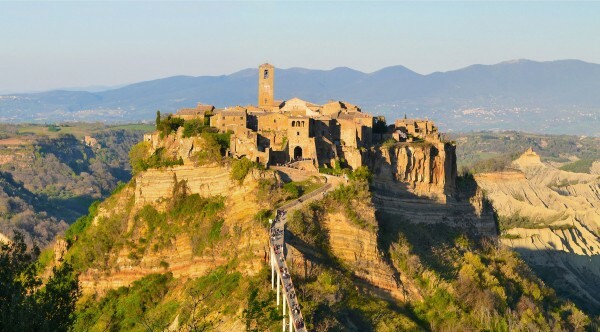 Domus Civita is a unique 14th century medieval home nestled in the pristine medieval village of Civita di Bagnoregio, Italy set into carved volcanic rock by two rivers. 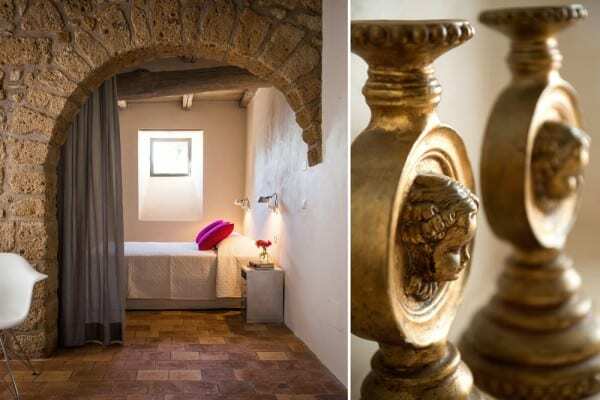 Entering the old town by walking over its footbridge and going through its Etruscan gateway is like stepping back in time 600 years to rediscover the beauty and peace of a different way of life. 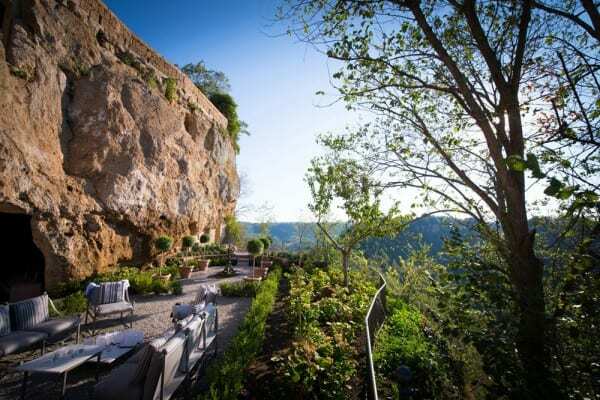 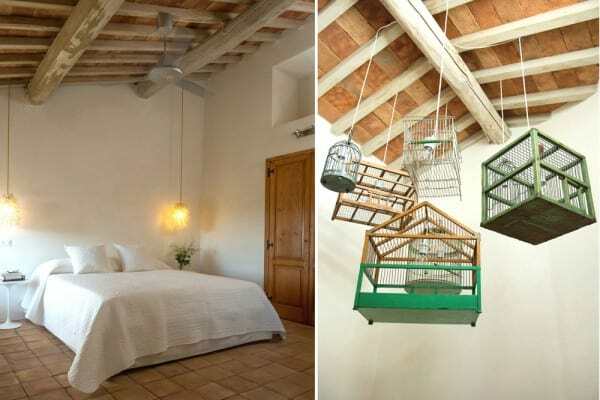 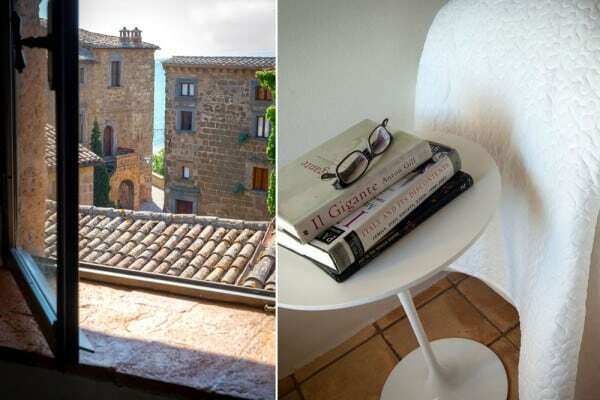 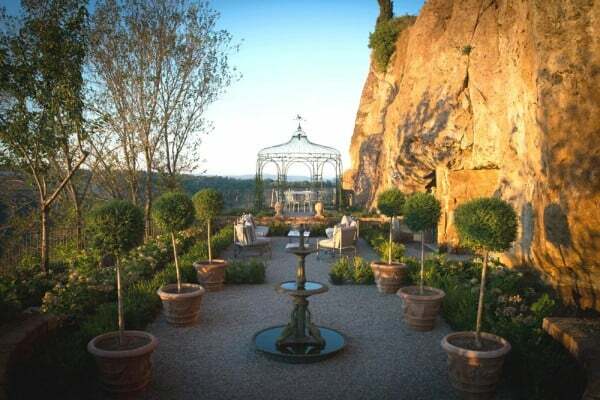 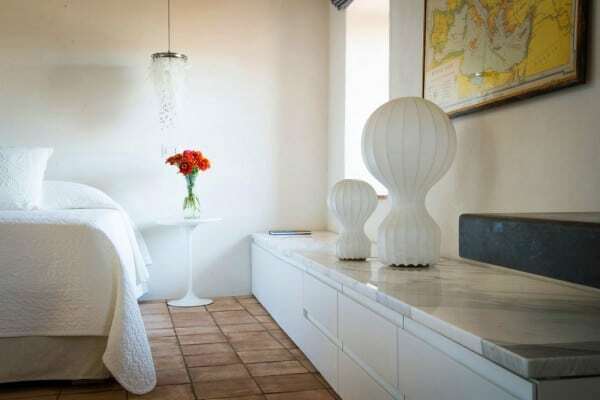 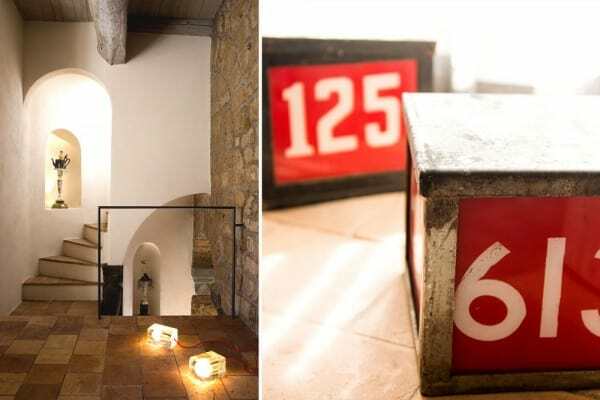 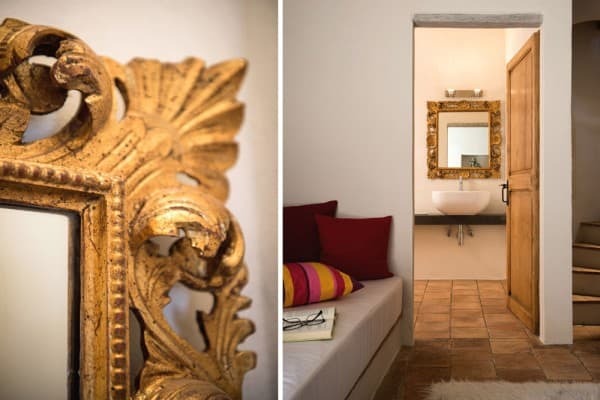 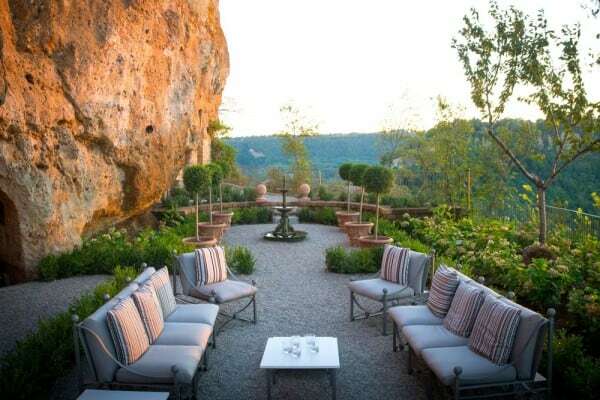 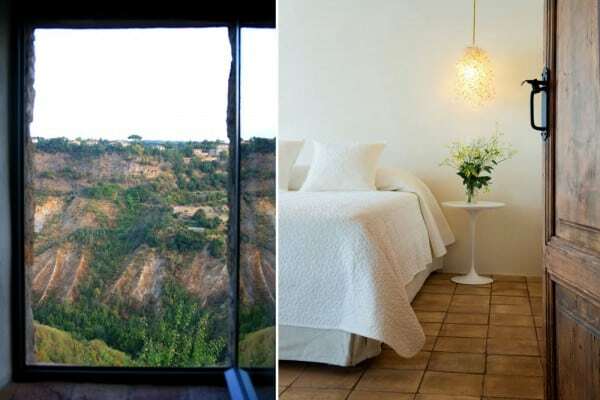 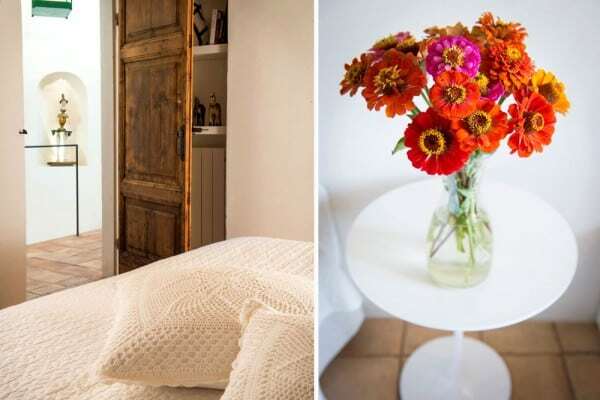 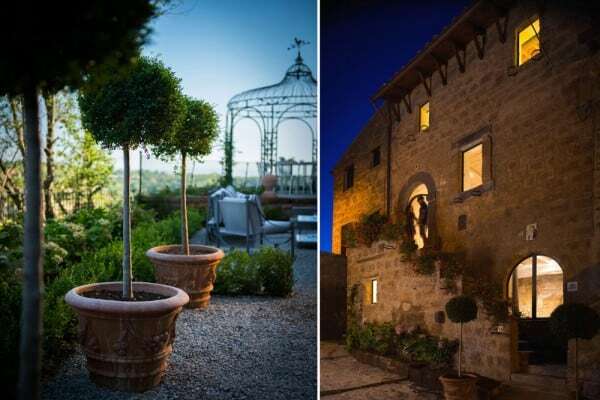 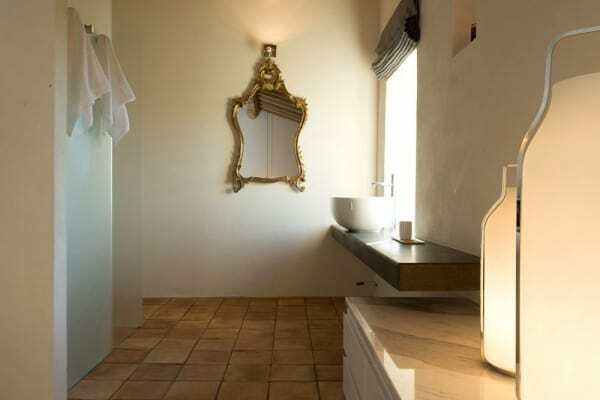 The home is set on top of 2,600 year old Etruscan caves and tombs and a beautiful 2,000 year old Roman water cistern, all of which are accessible from inside the house and spill open onto a beautiful hanging garden that is four stories down and through the cliff. 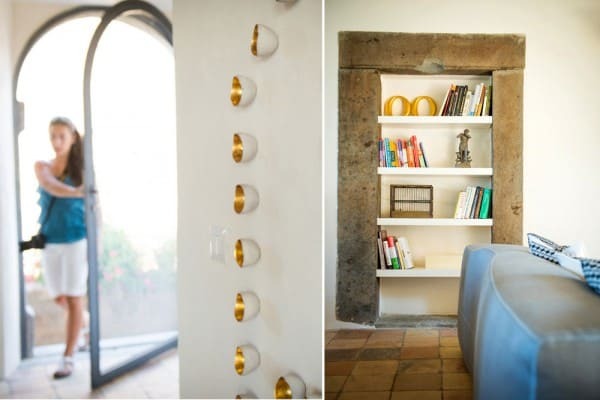 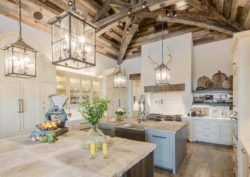 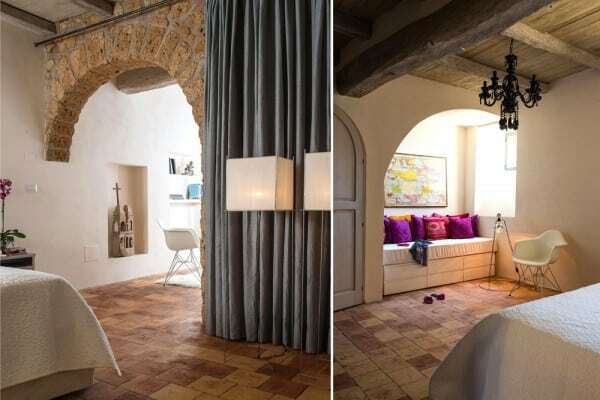 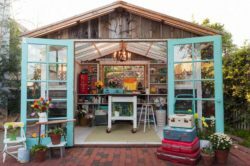 The owner wanted took the ‘soul’ of the house and re-expressed it by contrasting it with modern interventions and furnishings, adding a touch of romanticism and humor. 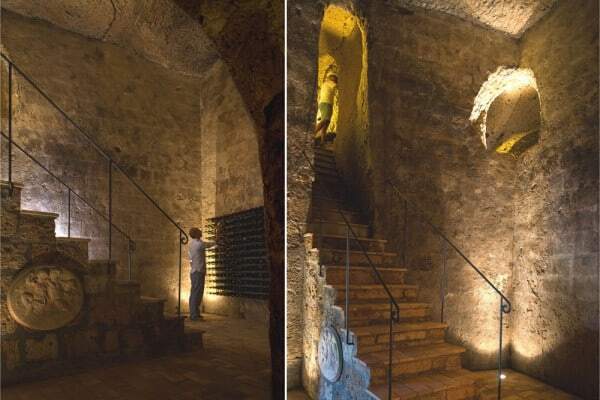 Preserving the original and beautiful details of the home, a new stairwell was added to connect all three levels. 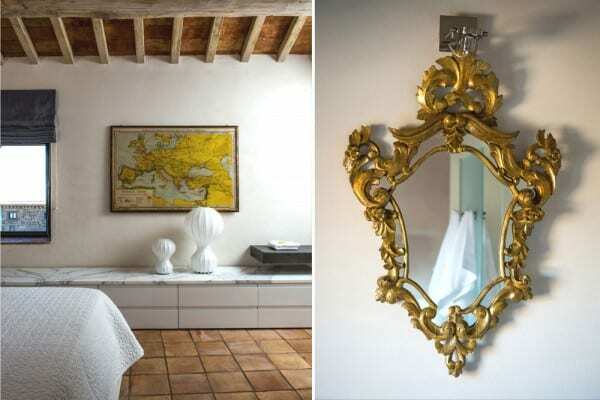 Left all white with soft and delicate details, there are accents of brass, gold and grey with bursts of bright color throughout. 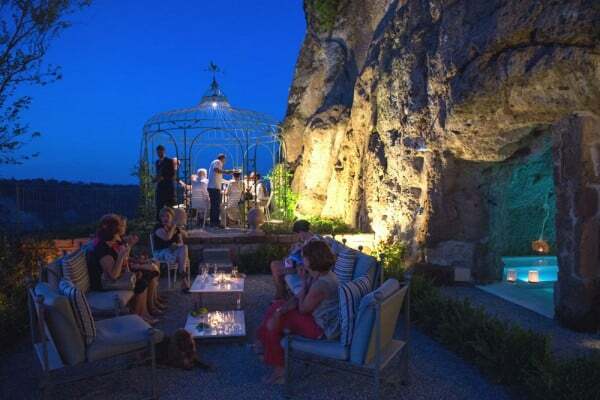 A simple and serene ambiance chalk full of wonderment and romantic touches. 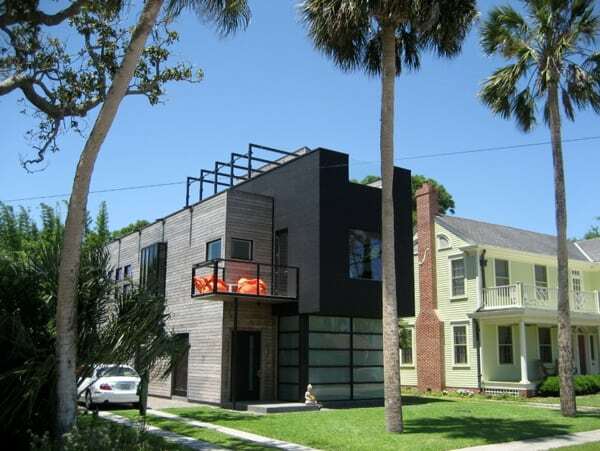 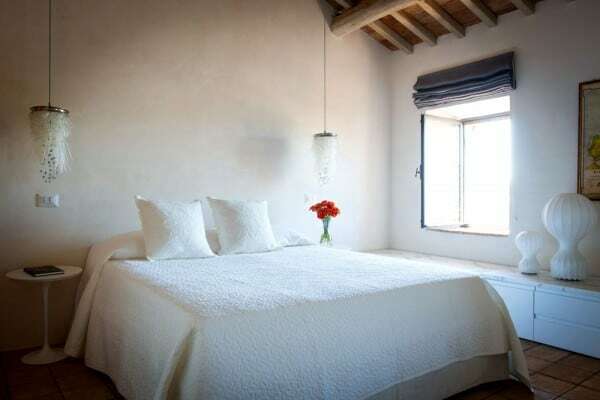 The residence has three bedrooms all with private baths and a study with extra beds. 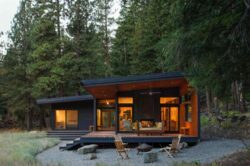 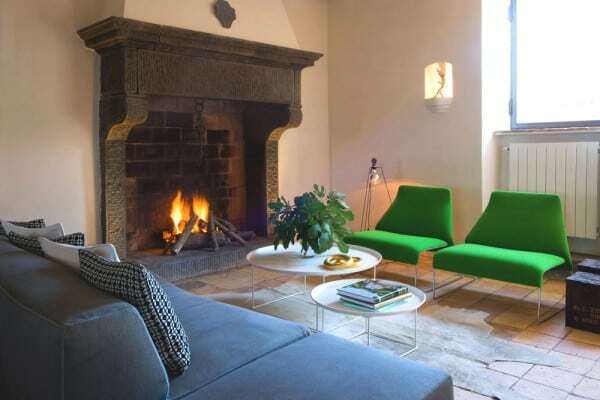 The home can host up to eight guests. 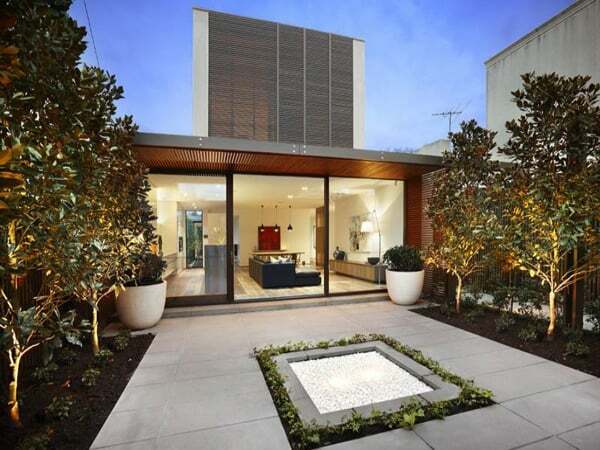 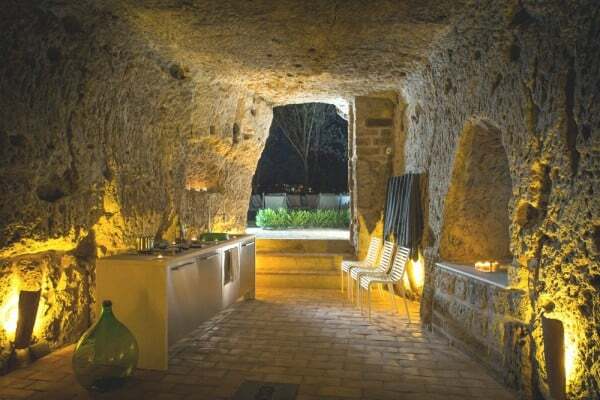 There are two kitchens, one inside the house and one in a cave that opens onto the garden. 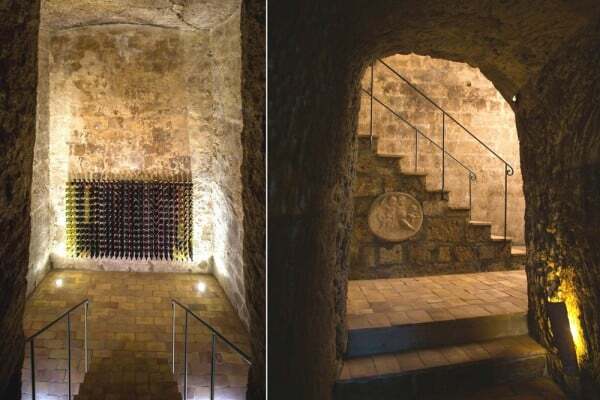 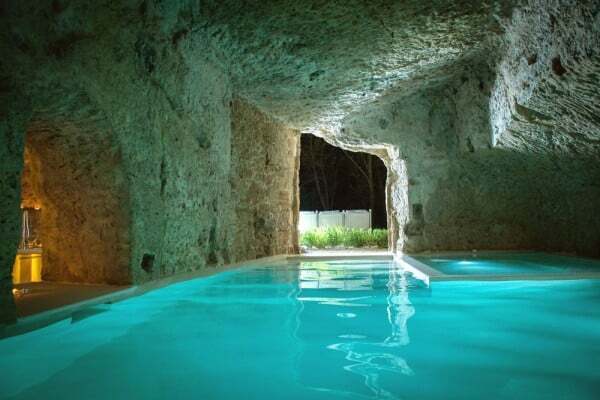 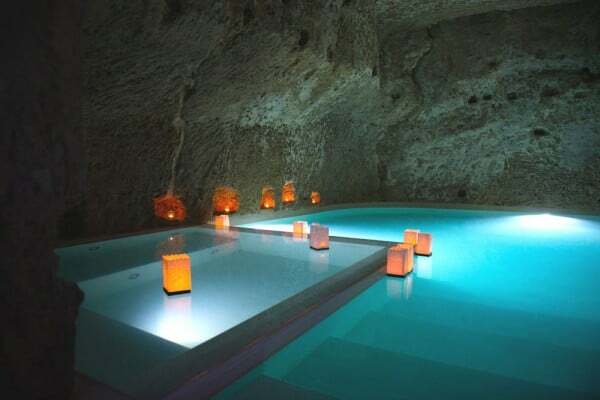 There is a heating swimming pool with Jacuzzi inside one of the largest caves and a unique wine cellar for guests inside the Roman water cistern. 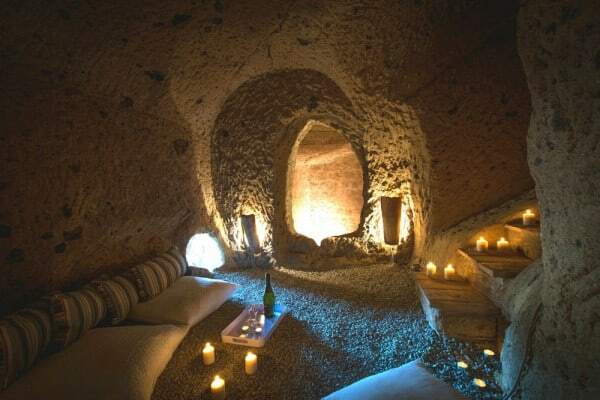 All the other caves, which there are nine in total, are devoted to art installations and storage. 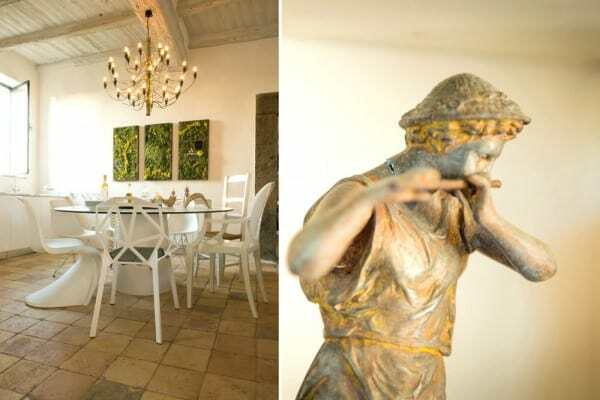 The house also has a formal Italian garden with an old fountain, an outdoor living room and a gazebo with barbeque for outdoor dining. 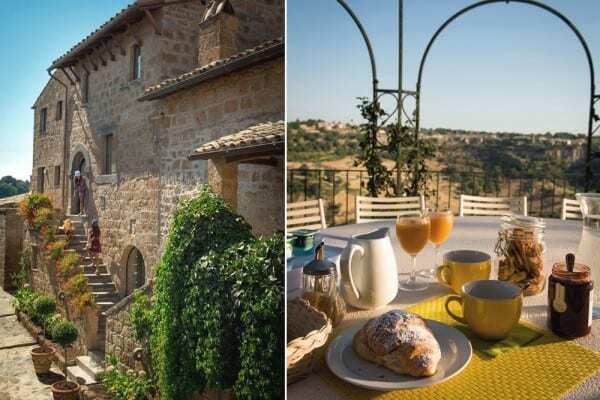 Domus Civita is available on a weekly basis from Saturday to Saturday year round, with prices ranging from $2,950 – $4,950, from here.